This book presents an in-depth look at US infrastructure and its challenges in the 21st century. While infrastructure has received considerable attention in recent years, much of the discussion has concentrated on physical, economic, or noneconomic conditions. The Trump administration has heightened interest in the topic, promising infrastructure spending during his tenure, yet little demonstrable progress has been made. 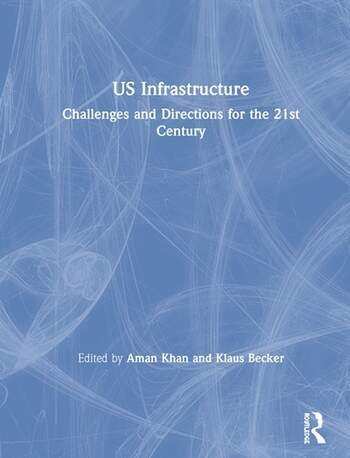 This book brings together a multi-disciplinary perspective - structural, technological, economic, financial, political, planning, and policy - that has been largely absent in discussions on the subject, to provide a clearer and broader understanding of the challenges facing US infrastructure. The book is divided into three parts: Part I looks at the challenges from a structural, technological, and sustainability perspective, Part II from an economic, productivity, and finance perspective, and Part III from an institutional, security, and policy perspective. Written primarily for policy makers, managers, and administrators in public and private organizations, as well as individuals and academics with an interest in the future of US infrastructure, this book provides an in-depth analysis of the US infrastructure problem, its causes and consequences, and suggests timely, specific measures that may be taken at the state, local, and federal levels to improve and better secure our roads, transit, public buildings, economy, and technology. Aman Khan, Ph.D. is Professor of Political Science and Public Administration and Director of the Institute of Governmental Finance at Texas Tech University. Klaus Becker, Ph.D. is Associate Professor and the current Chair of the Department of Economics at Texas Tech University.